Foreign Affairs Minister Chrystia Freeland plans to discuss security threats posed by North Korea's nuclear and missile programs and Myanmar's brutal crackdown on its Rohingya Muslim minority during her three-day visit to Singapore later this week, according to Global Affairs Canada. Freeland will be in Singapore Thursday to Saturday to participate in the annual Association of Southeast Asian Nations (ASEAN)-Canada Post-Ministerial Conference and the ASEAN Regional Forum (ARF), Global Affairs Canada announced Tuesday. The ASEAN meeting comes nearly two months after the summit between U.S. President Donald Trump and North Korean leader Kim Jong Un in Singapore. In addition to the 10 ASEAN member countries, delegations from China, Japan, India, the U.S., Australia, Russia and the European Union will take part in the meeting. Freeland will get a chance to rub shoulders with representatives of Russia, North Korea and Myanmar at the meeting, although it's not clear whether she has planned any bilateral talks with these countries. "As a Pacific nation, Canada is proud to stand with our Southeast Asian partners to advance peace, security and prosperity for people in the region and globally," Freeland said in a statement. "We will continue to work together to protect and promote our shared values and interests." The ARF meeting, scheduled for Saturday, is one of the few international forums in which North Korea takes part. While North Korea, which is sending its foreign affairs minister to Singapore, is likely to be high on the agenda of the meeting, the primary focus is expected to be on the escalating U.S.-China trade war. Freeland's trip also comes as the Liberal government is working to diversify its international trade portfolio amid Ottawa's growing concerns about its own trade war with the United States, Canada's most important trading partner. With a combined population of 633 million people and GDP of over US$2.4 trillion, ASEAN represents an attractive set of potential markets for Canada's exports. In 2017, Canada-ASEAN merchandise trade reached a value of $23.3 billion, making ASEAN countries Canada's sixth largest trading partner. ASEAN is comprised of Brunei, Cambodia, Indonesia, Laos, Malaysia, Myanmar, the Philippines, Singapore, Thailand and Vietnam. While not a full-fledged member of ASEAN, Canada is one of 10 nations designated as an ASEAN dialogue partner. In 2009, Canada appointed an ambassador to ASEAN and adopted the Joint Declaration on the ASEAN-Canada Enhanced Partnership. In 2016, under the current Liberal government, Canada opened a diplomatic mission to ASEAN and appointed its first dedicated ambassador to the rapidly growing regional bloc. Freeland also has been invited to deliver a lecture at the International Institute for Strategic Studies on Thursday, prior to the ASEAN meeting. The IISS bills itself as a forum for international leaders to discuss security and geopolitical issues. 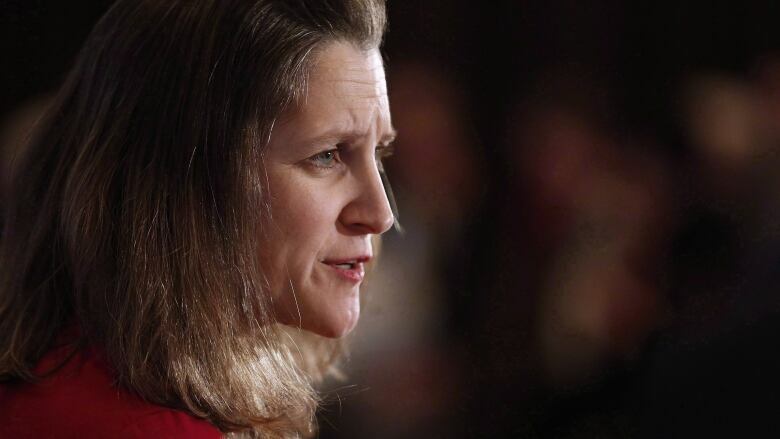 In her remarks, Freeland is expected to address what Canada and the international community can do to support and renew the international rules-based order, officials said.